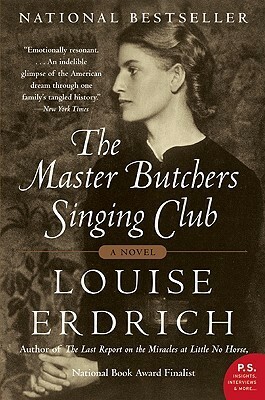 In The Master Butchers Singing Club (Harper 2003), Louise Erdrich homes in on the lives of German-American immigrants between the two world wars, tapping a Cather-esque exploration of the early twentieth-century Midwestern mingling of German, Swedish, French and Native American cultures. Though perhaps more widely known for her investigation of the Ojibwe consciousness, in the lives of first and second generation German immigrants Erdrich unearths a particularly rich vein in her overarching preoccupation with a uniquely American experience of cultural liminality. Whether her characters come from across the Atlantic or the reservation line, the tensions and complications that arise in the painful process of assimilation prove immensely engaging fodder for Erdrich’s imagination. Masters Butchers Singing Club by Louise Erdrich. Published by Harper (2003). 400 pages.